Hopefully spreading facts and awareness about the real dangers of gaming, especially from a young age, will assist in reducing the apparent epidemic of gaming. Defining addiction and the addictive qualities of video games will clarify the threats they pose. Secondly, we must realize that the disorder can affect anyone. Mainstream media and gaming culture are in many ways normalizing and cloaking the harms gaming can have on mental and physical wellbeing. Addiction is defined as the fact or condition of being addicted to a particular substance, thing, or activity. The complicated fact about addictions is they become compulsive and, to a certain extent, involuntary, even with an understanding of its dangers. Addiction is easily and often associated only with substances. People seem to overlook the fact that humans can become addicted to quite literally anything. People will build up a tolerance to the substance or thing no matter what it is. Essentially the more you get of something, the more you feel you need it. This is common knowledge in the gaming industry and has been used to the advantage of gaming companies in order to hook the consumer. Video games, although not a substance, can be as addictive as one. A reason for their addictive quality is similar to that of gambling. 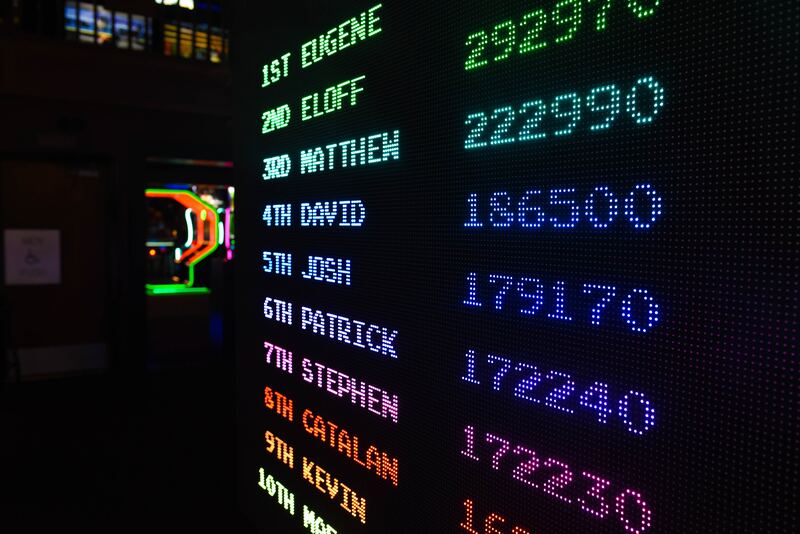 The reward system of video games works the same way as slot machines, and this is no accident. The way slot machines keep a player hooked is with the promise of a reward but not a guarantee of how many tries it will take them to get there. This leaves people playing for hours hoping their odds of winning will eventually increase. Games with the highest potential for addiction are most notably Multiplayer Online Role Playing Games or MMORGS / MMOs. World of Warcraft and Fortnite are examples of these types of video games. Your own avatar and a fantasy world where you develop your skills and complete tasks or quests with other players is a standard template for MMORGS and MMOs. The “fantasy world” is often shaped by the players and continues to grow even when you’re not online. Many games have no means to an end. There is no “finishing the game” and no point where you can say “Ah…I won! I’ll put this down now.” Because there is no way to close the loop you’re constantly coming back and its infinite nature makes playing it a routine. Making a social connection. While online games used to be a solitary activity they now require you to interact with other players. This plays on our human need for interpersonal connections and most interestingly can actually come at the expense of our real-world relationships. The leveling system of MMORGS assures that you stay hooked on “leveling up.” Normally the first handful of levels will be easy to complete, they won’t take more than 5–10 minutes. Once they’ve built up your confidence the levels get harder and thus take longer to finish. By the time the player reaches parts of the game that are more time consuming they have gradually adapted and accepted that each level will require more effort and won’t stop playing. In-game currency keeps players online. The same goals and emotions we feel about money in the real world are transferred over into these hyper-realistic fantasy video games and motivate us to keep playing. Power, influence, control, and respect are all enticing pursuits that translate from life to gaming. The underplaying of the dangers of video games make addiction to them easy. We can justify the harmlessness of sitting at a computer or television set far easier than shooting a drug into our veins or poisoning our livers with alcohol. In comparison to extreme substance abuse and substance addiction, video games seem quite literally like child’s play. (As mentioned earlier) the game continues to develop even when you’re offline. This means that if you spend too much time away from the game you may end up “missing out” on developments and feeling left out of the online community. The incorporation of real-life rewards. This has hooked people to video games even further. The video game Fornite holds frequent tournaments with cash prizes. This encourages players to spend endless amounts of time perfecting their skills. If your virtual reality crosses over into real life, that’s all the more reason to keep going. An escapist tool. Video games offer an escape from the reality of the physical world, which fuels the fire of a real-world problem as it never gets solved. It’s important to understand that the industry has included specific features to make sure that they keep consumers online and buying their games. They are trying to get people hooked because it benefits their business. Being mindful of the traps can assist you in to not falling into them. The addictive qualities of video games, namely Multiplayer Online Role Playing games have lead to video game addiction being named as a medically and scientifically recognized disorder. The World Health Organization (WHO) has added “gaming disorder” to the latest edition of the International Classification of Diseases (ICD-11). This comes after the American Psychiatric Association listed “internet gaming disorder” as a “condition for further study.” The disorder is bread from video game addiction. The symptoms of a gaming disorder are similar to the symptoms of substance abuse, where the person will be using gaming similarly to a drug. It’s characterized by a pattern of persistent or recurrent gaming behavior, whether this is online (over the internet) or offline. Someone with gaming disorder may prioritize it to the point that other daily routines and interests are put on the back burner. If you find yourself making sneaky exits at social events solely to reconnect with your gaming devices you may have a little problem. Denial, denial, denial. Someone with gaming disorder will likely ignore the fact that their habit is impairing the personal, familial or occupational success. The amount of time they spend gaming will increase despite the problems it may be causing. If all of these three features are regularly evident over a period of one year then diagnosis will be assigned. In some cases, an individual can be diagnosed within a shorter period of time depending on the severity of the symptoms. An important note to make about the symptoms of the disorder is that there are no physical ones. It is more of a behavioral issue and a lack of impulse control. Despite negative consequences these symptoms may eventually have on your physical health, the disorder begins as a purely mental diagnosis. This is parallel with how other addictions are viewed by experts. Experts also caution early diagnoses of a gaming disorder and this is why the general rule is that the symptoms must be constant for at least a year. The same way a large portion of the population can drink without becoming an alcoholic there is definitely a large part that can participate in video games without becoming addicted. The main issue to keep an eye on is a lack of control over their habits. Who does it affect/Who’s more Susceptible? So who are these video games targeting and more importantly who is being diagnosed with a gaming disorder? Researchers don’t actually have a conclusive answer yet as to why some people are more susceptible than others but they have their suspicions. 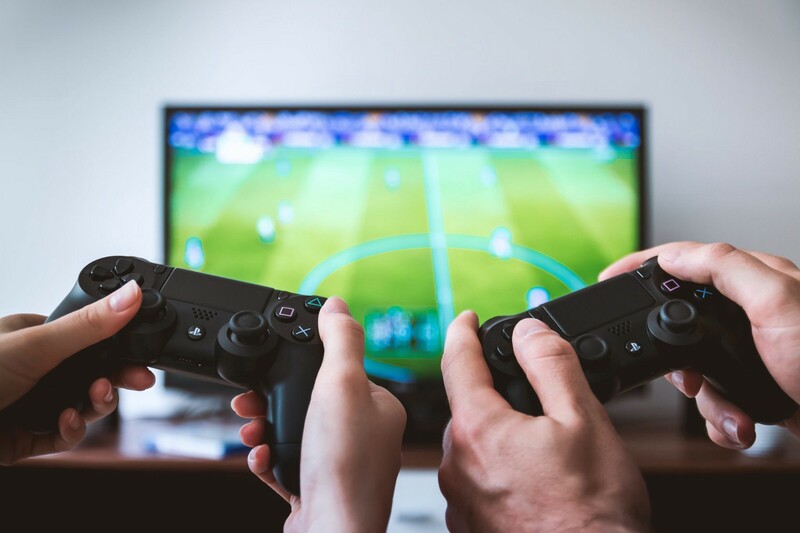 Similar to addicts and substance abusers, video game addicts and people with a gaming disorder will often turn to video games during trying times. Mental health issues like depression can lead a person to immerse themselves in a fantasy world rather than facing reality, much like substance abuse. Another reason a person may be more susceptible could be in their genetics. Again, like any addiction, some people have more self-control and willpower than others. There is also an environmental a factor in whether or not a person will become addicted to gaming. Some hypotheticals are the free-to-play computer and video games are an affordable wind-down at the end of a long workday, or someone lives in a place with a smaller social scene and turns to a game for excitement. Another environmental case could be working from home and having constant access to games with little accountability for wasted time. Again because research is so inconclusive (a big part of the problem) people susceptible to gaming addiction could check all these boxes or none at all, researchers are still not exactly sure. A dangerous area for video game addiction is among children, however. Because a child’s brain is less developed and therefore lacks the same amount of impulse control as an adult, children are much more susceptible. When a young child is playing a video game dopamine levels (the pleasure chemical released by the brain) are raised. The part of the brain that is triggered during video game play is the same that is triggered during sexual experiences. This can be incredibly harmful to young people and has created a phenomenon labeled only as “digital orgasms.” Video games and sexual experiences raise dopamine levels to 100%. Because the frontal cortex of a child’s brain isn’t fully developed, a child won’t know when to stop playing. If video games are powerful enough to affect adults and hook them into a game, children are at an even higher risk of becoming addicted. Video games have a fairly far reach across the board of age groups, ethnic groups, and gender groups because of one crucial factor: accessibility. If we’re making the argument that video games are as addictive as drugs and potentially as pleasurable as a sexual encounter, this accessibility becomes a liability. It cuts out the need for travel, human interaction, and lifestyle development because you can easily access a world where virtually anything is possible. There is definitely an attractive element: a world of endless experiences right at your fingertips. Minimal expense, guaranteed pleasure, and rewards. But at what cost? Now that we’ve laid out all the dangers, disorders, and issues that come along with gaming, it should amaze you how normalized and promoted video games are in mainstream media. In fact, there is a whole culture based around it. Because of this almost cult-like following, people have a hard time demonizing gaming. It brings people with like interests together, who may not have otherwise met. All types of people play video games and truly build online worlds and relationships that feel meaningful. Because of this, there is a huge array of people who will vehemently defend video games. People will identify themselves as “gamers” and will feel a close attachment to others who also consider themselves as such. It’s become such a wave that discussions in grade schools have started banning children from even having conversations about the games their playing. Electronic sports are becoming widely accepted and video game competitions are actually respected and practiced. Gaming has been and is increasingly becoming a huge segment of mainstream media and culture. Are there benefits of gaming? Of course, there’s the other side of the coin. They key to “healthy gaming” and actually benefiting from video games is to do it in moderation. The same goes for any gadget or modern form of technology — they can be entertaining and when used in moderation, a fun way to spend some time. Furthermore, doctors have actually started prescribing video games to patients suffering from depression and mental health issues. An interesting point because others believe video games to be the culprit of these problems, a testament to the lack of research. Radboud University’s Games for Emotional and Mental Health Lab in the Netherlands, are now studying the use of video games for therapy. The most dangerous issue with gaming addiction is the lack of knowledge we have on the subject. It’s still a complicated issue to identify in that there are people who spend heaps of time gaming but don’t let it affect their lives negatively. There also may be people who don’t obsessively play but choose to game over other important things in their life, and damaging their wellness. Treating gaming addiction becomes difficult when there are so many different forms of the disorder. The Psychiatry and Clinical Neurosciences published a review of the research in 2017. This review holds evidence of “pathological gaming symptoms” and game addiction leading to mental health issues and social consciences such as depression, but there was no conclusive evidence of a connection between gaming in general and these issues. The review described the research into the detection and prevention of gaming addictionas “obviously insufficient.” This is expected to help establish a globally approved definition and diagnostic guidelines for Internet Use Disorder. Although most doctors and experts are on the same page about the fact that excessive gaming can definitely harm someone’s life in the long run, there just is not enough evidence. The lack of information is not due to gaming notbeing an issue but rather the lack of people really looking into it. Ultimately video game addiction is a serious issue but it doesn’t mean that every person who picks up a gaming device is going to end up with a problem. Because of the lack of research and information, we have on long-term effects of gaming addiction and the repercussions that come along with it the safest way to game is to be very cautious about how much time you’re dedicating to it. The bottom line is gaming addiction is real, and unfortunately, we don’t know enough about it yet to properly diagnose. The same way a glass of red wine may be good for your heart, playing video games now and then can bring you joy and stress relief. But bear in mind that overly abusing a game is akin to binge drinking, it can have serious long-lasting effects on your mental, social, and physical wellbeing. Originally published at www.goboldfish.com on December 28, 2018.